I first heard about this area through a college friend of mine, Nate Rochideau, who lives in Monson. 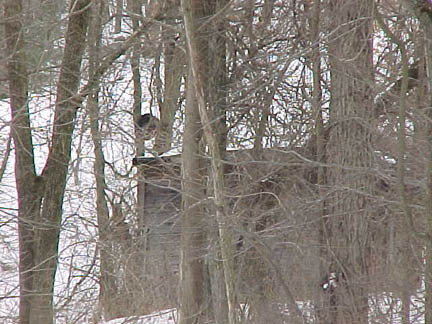 While visiting his house in March of 1998 we found this area, although it is only visible from the road (you can't get to it, its on private property). 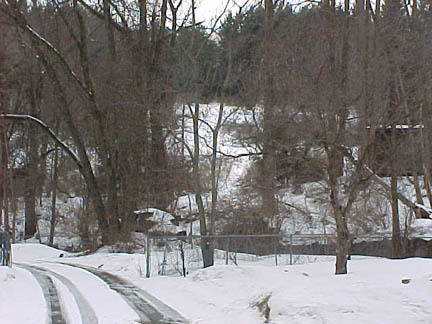 It is another small rope tow area that operated at a private school. 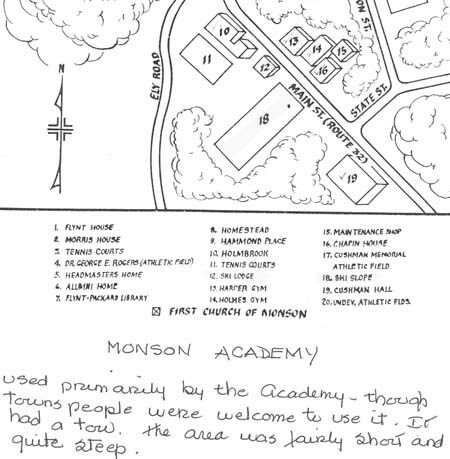 Wilbraham & Monson Academy used to be located in Monson, MA (known then as Monson Academy) during the 1960's. They operated a rope tow area mainly for students, although townspeople were allowed to use it. According to Coralie Gray, the area was short but fairly steep. Monson Academy moved to Wilbraham sometime in the 1960's. They left most of their buildings behind, so not only is this a lost area, but its a lost school. The dorms/classrooms lay silent, slowly falling apart. Interesting! Here is a map of the area in the 60's. 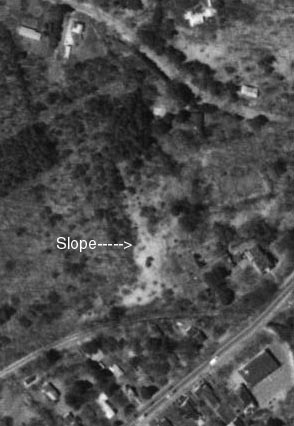 Number 18 is the ski slope. An overhead view of the area today. Totally grown in! A view of the slope from Main Street. Picture courtesy Laurie P.
A pulley on the engine house. Picture courtesy Laurie P.